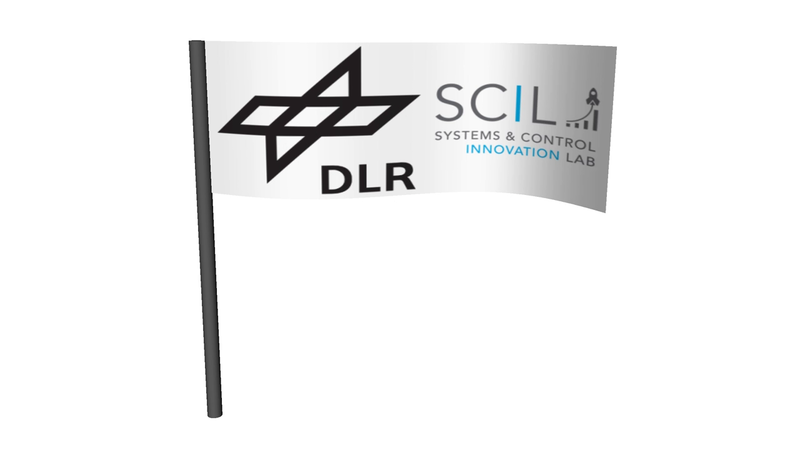 The DLR Visualization library is a commercial Modelica library from DLR-SR providing an advanced model integrated visualization for Modelica models, especially in the mechanical, fluid and electrical area. 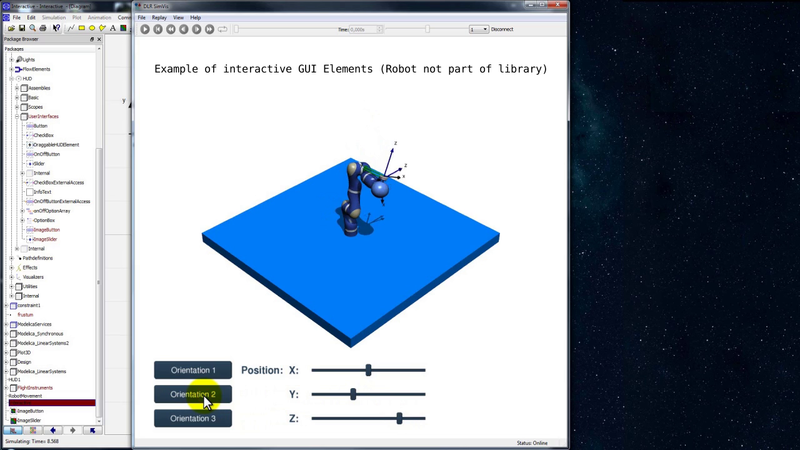 The components are available for offline, online, and real-time animation and are usually attached to a Modelica model with a Frame connector of the MultiBody library. 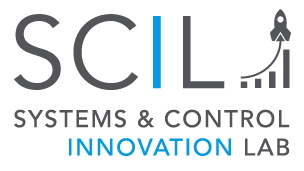 The library is commercially available at LTX, where also a free community edition with limited functionality can be downloaded. GUI elements such as buttons, slider, checkboxes, etc. for interactive simulations. The Visualization library allows the user to visualize complex multi-body and flexible body systems, such as robotic systems, vehicles, flexible beams, surfaces and freely deformable CAD bodies with a GPU based interpolation algorithm. 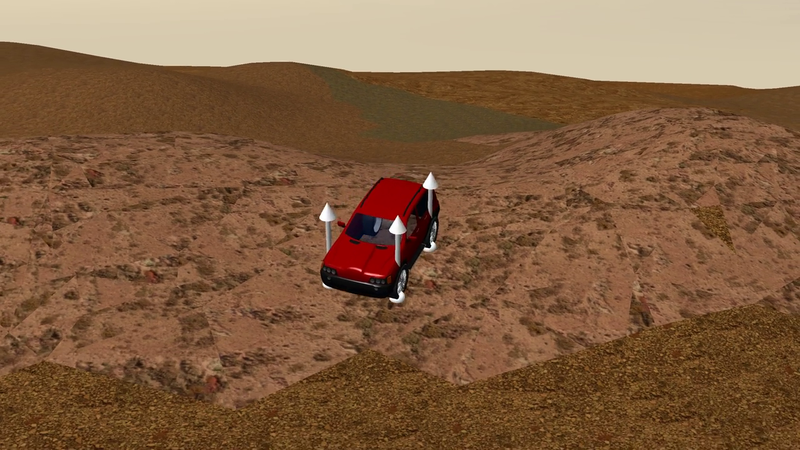 The example on the left side shows a simulation of the DLR Terramechanics Robotic Locomotion Lab (TROLL), where a planetary rover wheel unit interacts with soil. The robot presses the wheel unit into the soil with a controlled force, allowing repeatable tests of locomotion control algorithms for planetary rover systems. 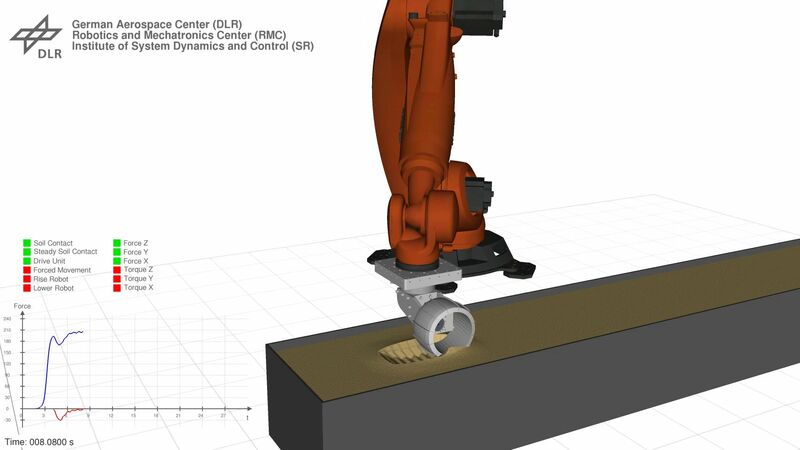 The deformations of the soil and the contact forces between soil and wheel are calculated with the DLR Soil Contact Model (SCM) algorithm and are displayed with the flexible surface from the DLR Visualization library. It is possible to use large georeferenced terrain databases in the to visualize large scale landscapes for flight simulations. The terrain data is automatically rendered in efficient level of detail and loaded on demand by the visualization. 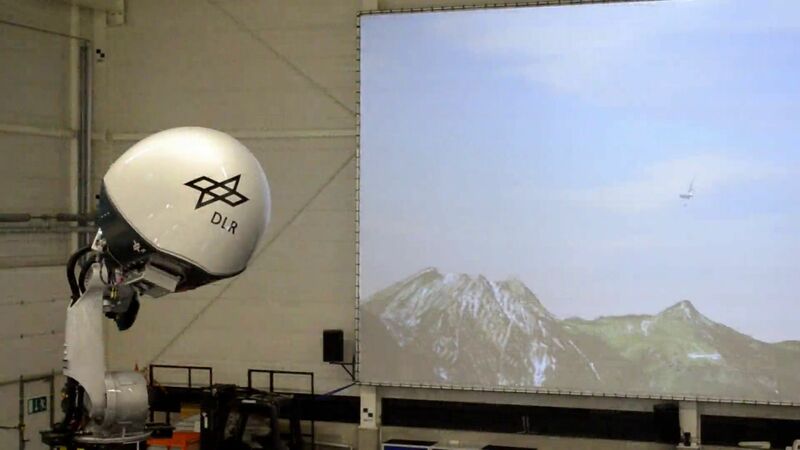 In the video, the DLR Robotic Motion Simulator is used to perform a flight simulation. The pilot is sitting in the gondula attached to the robot arm and can view the visualized scenery either via stereo projectors in the gondula or with VR Glasses (see right video of virtual cockpit with HTC Vive). The projection screen behind the robot shows the outside view of the aircraft. The landscape data has a texture resolution of 80cm per pixel. 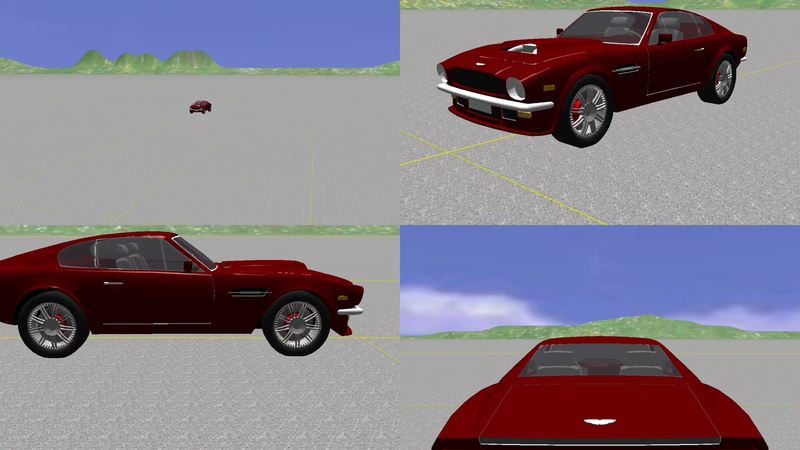 Driving simulations are another application for the visualization library at DLR. In the example, the DLR ROMO (more information) drives in different locomotion modes (longitudinal, lateral). This visualization is used at DLR to test the ROMO as hardware in the loop simulator, with the complete electronics and embedded controllers active (with exeption of the high voltage circuit for the drives). 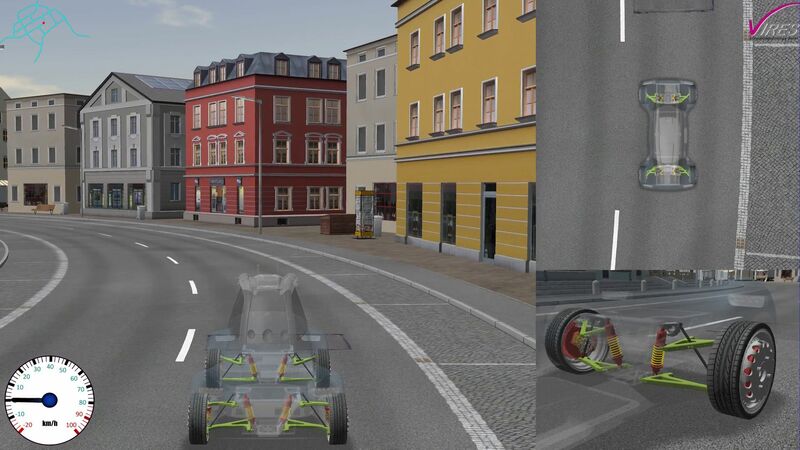 The example shows the usage of several cameras to emphasize different aspects of the simulation (top down view and focus on the suspension). The used landscape is a commercial product from the company Vires. 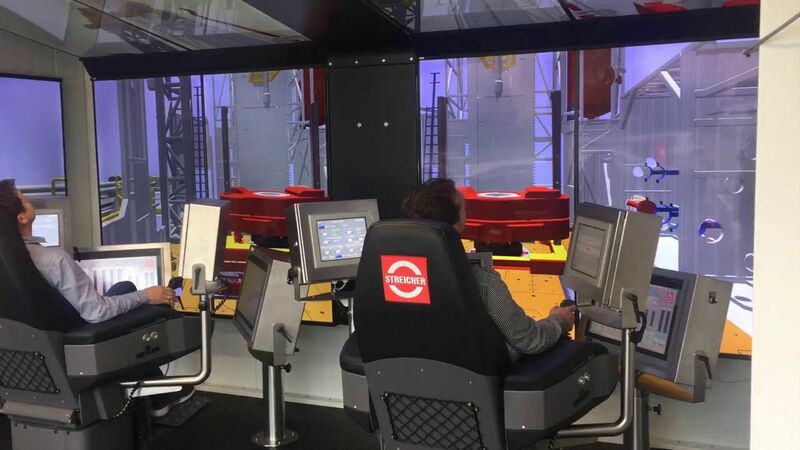 Together with the Streicher group a Drilling Rig training simulator has been developed. 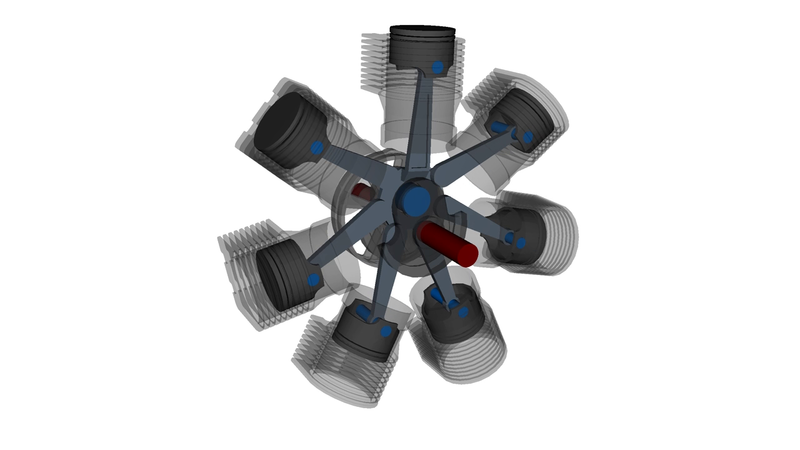 It allows to cut costs and to reduce the downtime of the real-world offshore drilling rig. All user interfaces are the same as in the real drilling rig operator cabin, as well the control software running on the plant / simulator SPS. 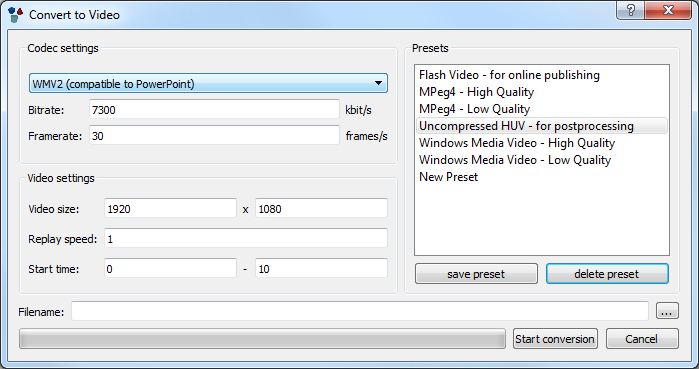 This also allows the virtual commisioning and test of new control software. Instead of windows, nine displays are used for the operator cabin to provide the trainees an immersive virtual environment. The views are visualized with the DLR Visualizaton library and the viewpoints are calculated such that the perspective from the left or right chair is correct. The Visualization library can also be used to generate complex 2D layouts, for example instruments, graphs or interactive GUI. 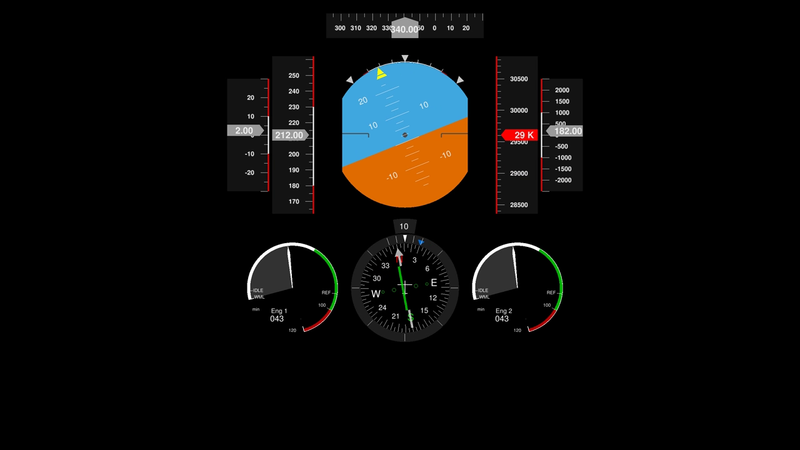 It is possible to place buttons, sliders, or checkboxes in order to control the simulation in realtime. 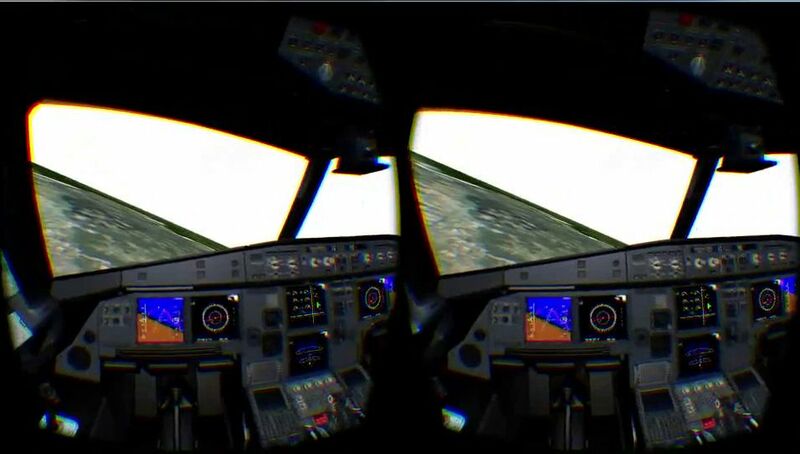 The example on the left shows a simple primary flight display with artifical horizon, heading indicator and height indicator, used in the DLR flight simulator. 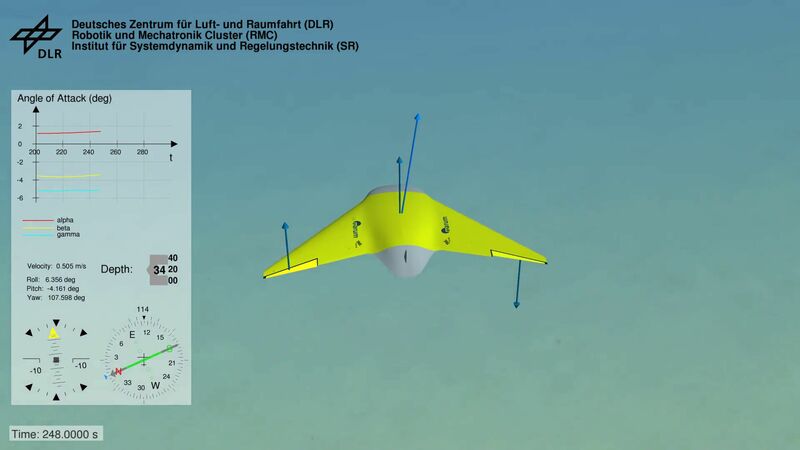 On the right video, an experimental underwater glider (MOTH) from MARUM is simulated, where 2D overlays are used to indicate heading, diving depth or angle of attack. The visualization library supports the display of large georeferenced terrain databases, up to the planetary scale. It also includes atmospheric effects to visualize the atmosphere around earth. In the DLR SpaceScenery library, models for planets and moons and space craft are available to be used for the simulation of orbital maneuvers. 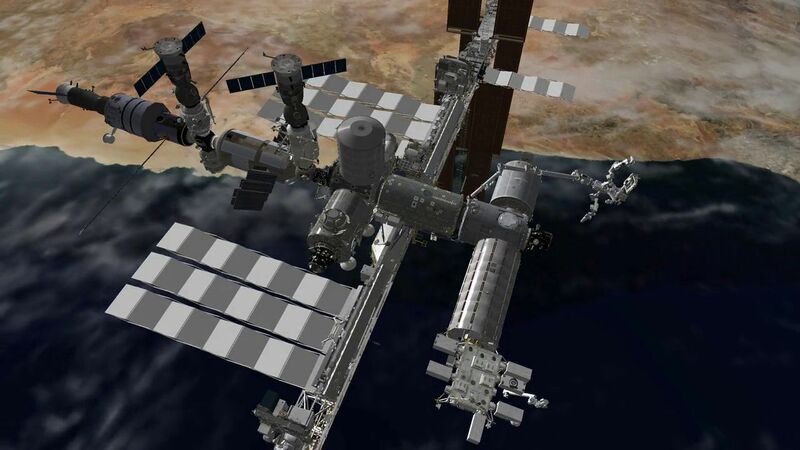 The first example video shows the International Space Station (model: NASA), orbiting over the coast of Namibia in the direction of Somalia. 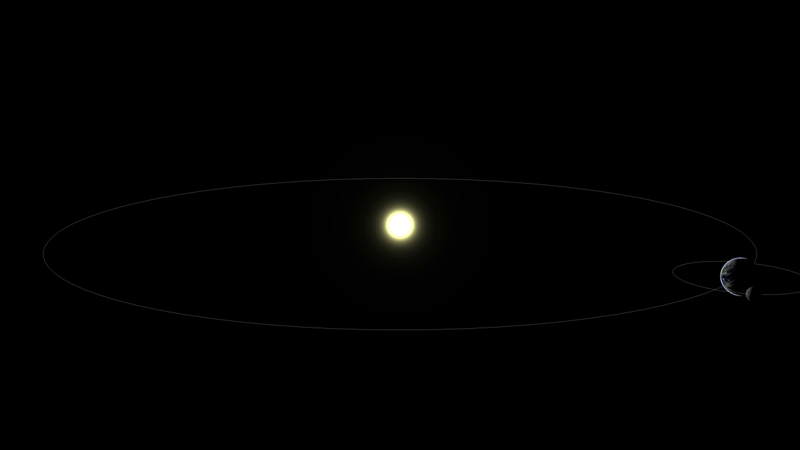 The second example video demonstrates the ability of the visualization to zoom from planetary scales to the ground level without loading screens. 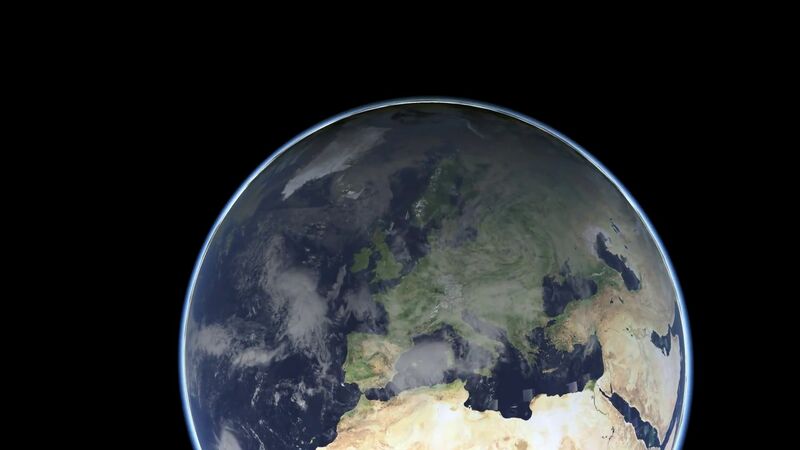 The used earth database consists of data sets with a texture resolution of 500 meter per pixel (NASA Blue Marble NG Data), and 80 cm per pixel data for the german province Bavaria (Bayrisches Landesvermessungsamt). The digital elevation model used is the SRTM data with a grid resolution of 90m. 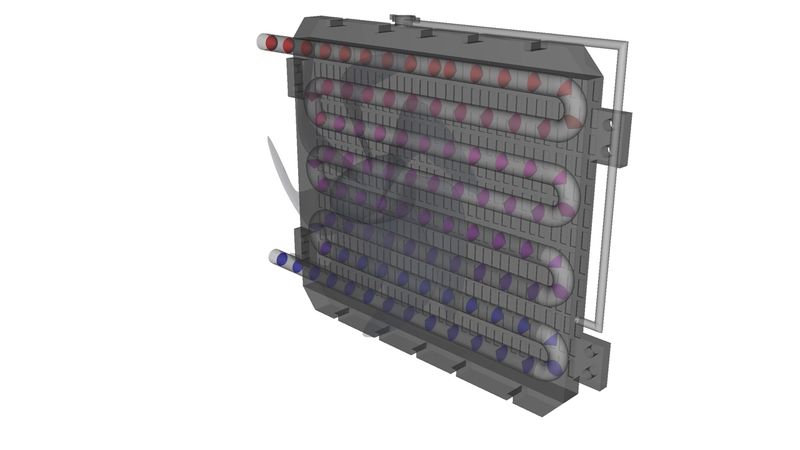 With the visualization library it becomes possible to visualize energy or mass flows. 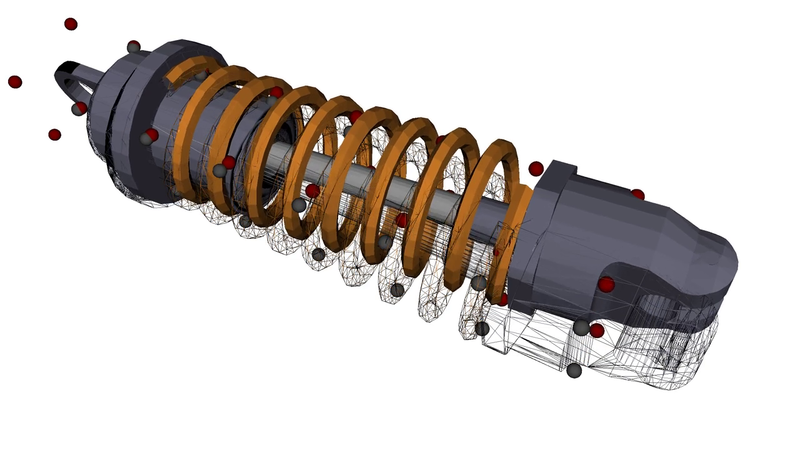 Distribution networks with valves, pumps and junctions can be defined and simulated. 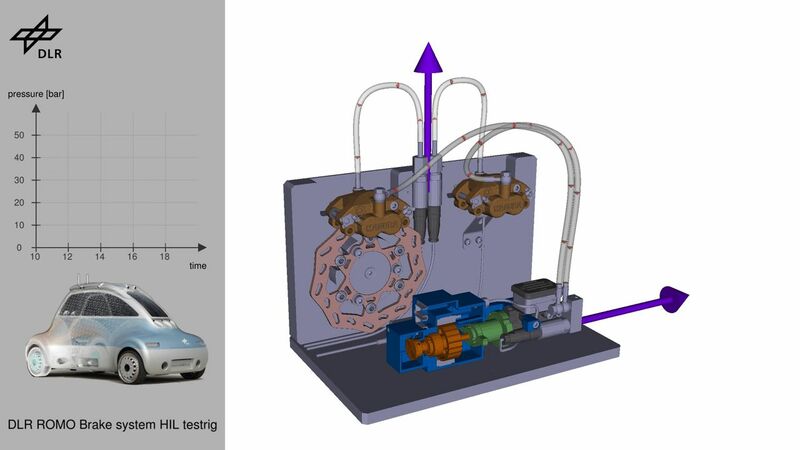 The example video shows a visualization of the DLR ROMO brake system testbed, where the brake characteristics of the ROMO (more information) have been identified. 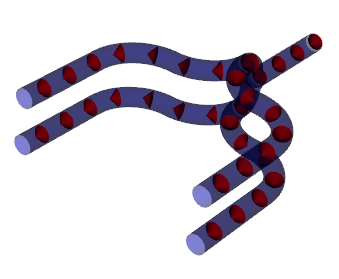 The flow of the hydraulic fluid is visualized with flexible energy paths, defined via splines.